The exact instrumentation is not specified in the surviving autograph score, however, given the ranges of the instrumental parts, violin would have been the most likely candidate for the obbligato instrument. The character of each aria is so distinctive, however, that they lend themselves to playful variations in instrumental colour to maximise these contrasts. The oasis of calm that is Süße Stille seems ideally portrayed by the combination of a soft, mellow tenor recorder with delicate triple harp, while, by contrast, the bubbling water of Das zitternde Glänzen glitters on the oboe. 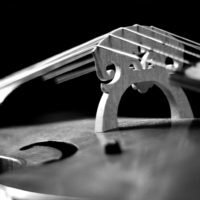 Some heavier, sacred texts are better served with organ and ‘cello, whereas other more lively poems call for instruments with sharper articulation such as the harpsichord and viol. It is also, of course, rather ‘baroque’ in attitude to be adaptable with instrumentation, a testament to the inventiveness of the time and perhaps to the capricious will of the many patrons. In more intimate settings one may not always have a violin to hand, but the family might have a recorder or an oboe in a cupboard somewhere! It is reported, for example, that poet Heinrich Brockes and his family, while on a boating trip, spontaneously began singing Süße Stille, his child playing along on a flute, revealing a relaxed and improvisatory attitude towards instrumentation in informal settings at the time. This joyful creativity characterises these arias. While devotional in spirit, they feel down-to-earth, not necessarily requiring the enforced outward grandeur of opera houses or cathedrals. The nine intricate arias, which except for In den angenehmen Büschen are in Da Capo form (ABA structure), present snapshots of different facets of our environment or humanity. It is as though Händel’s selected verses throw certain aspects of the rich landscape of Brockes’ poems into sharp relief, suddenly illuminating a ‘fiery rose’ or a ‘bubbling spring’. The intimate musical style has sometimes been attributed to the possibility that Händel composed them around the time of visiting his ailing mother in Germany, his last journey there, thus making them his last settings in his native language – a fact which adds significance to the reflective passages. The arias are many things simultaneously: portraits of nature, worshipful of God, and instructive to mankind, subtly bridging the gap between sacred and secular. Take the title of Brockes’ collection itself: Earthly Delight in God. These are not lofty, inaccessible texts, but in true anticipation of the Enlightenment, remain rooted to humanity, addressing mankind directly. Die ihr aus dunkeln Grüften seems the most ‘human’ aria of all, describing man’s preoccupation with possessions and set in a grounded, solid style by Händel. The bridging between this and the ‘heavenly’ is illustrated beautifully in Händel’s setting of In den angenehmen Büschen, the violin line repeatedly taking us from dark to light, weaving around the voice with descending phrases contrasted immediately by ascending ones, reaching skywards in paired γ quavers – a melody which is always hopeful and impossible to keep down! The most profound and sacred lines of text are usually reserved for the ‘B’ section, the musical style often shifting here to reflect this, as if turning to address the listener directly after an ‘A’ section filled with lighter, more atmospheric imagery. For example, after beginning joyfully in the first person, Meine Seele hört im Sehen turns abruptly into its ‘B’ section with “Höret nur” (“Only listen!”). Similarly, the ‘B’ section of Die ihr aus dunkeln Grüften begins with the sudden instruction “Sprecht nicht!” (“Say not!”) Flammende Rose demonstrates the most marked difference, with a purely descriptive ‘A’ section which celebrates the beauty of nature, followed by a sacred ‘B’ section which reminds us who, in fact, created it. Probably in a true reflection of our human nature, however, we are almost always tempted back to the frivolities of the A section courtesy of the Da Capo structure – we are not forced to be pious for long! There are contrasting moments of moral instruction, worship, humanity and folly throughout these arias and we are never left in any doubt how we should feel about it. Brockes provides a message, and Händel’s music instructs us as to whether we rejoice in it, reflect on it, or be fearful of it. 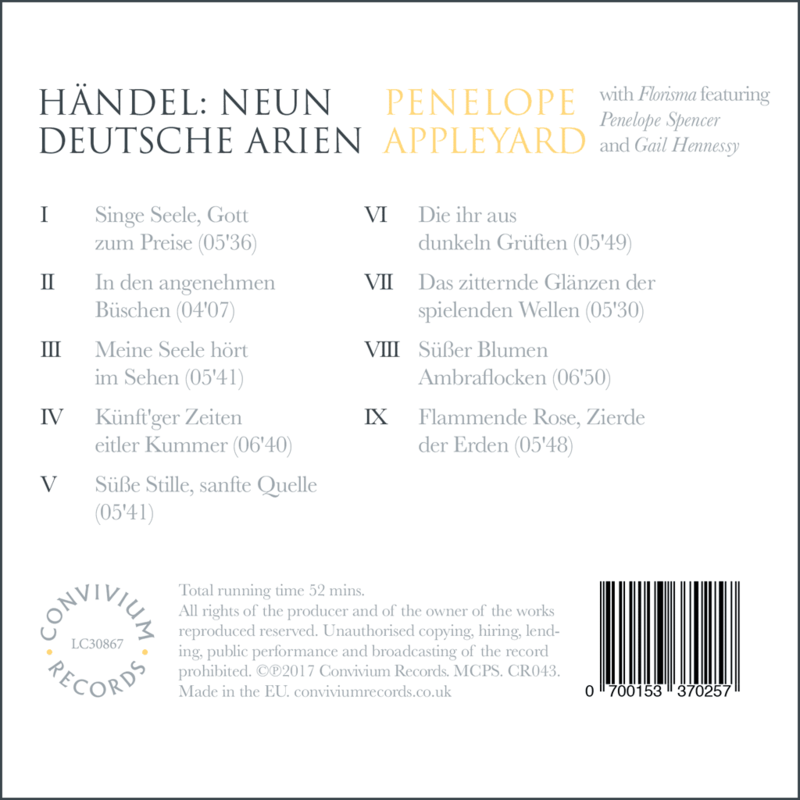 A soprano “Blessed with a voice of pristine clarity”, Penelope Appleyard is becoming known for the purity and agility of her voice, and her stylish interpretations of historical repertoire. 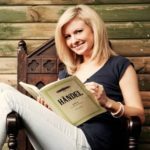 She graduated with Distinction from the Royal Birmingham Conservatoire and now performs as a soloist and consort singer, particularly in the field of early music. She has performed at prestigious venues internationally from Mexico to Istanbul, and has worked with ensembles including The New London Consort, the Taverner Consort, the Monteverdi Choir, Wiener Akademie, The London Bach Singers and Feinstein Ensemble, Arcangelo, Armonico Consort, Ex Cathedra and the Royal Shakespeare Company, also appearing on numerous recordings. Roles have included Cupid (Venus and Adonis) Dorinda (The Tempest) Shepherdess and Siren (King Arthur) Bonvica (Bonduca) Pallas (Judgement of Paris) Second Woman (Dido and Aeneas) Mopsa (Fairy Queen) and Belinda (Dido and Aeneas) at Bridgewater Hall alongside Roderick Williams. Penelope appears regularly on the concert platform, engagements having included Bach’s B minor Mass at the Bologna Festival with David Roblou and Philip Pickett, Arne’s Alfred with Steven Devine, Monteverdi Vespers with Laurence Cummings and King Arthur for the Brighton Early Music Festival. She made her solo debut at Cadogan Hall in 2017 deputising for Dame Emma Kirkby. She has a particular love for chamber music and singing with instrumentalists. She has given recitals at Handel House with Julian Perkins, performed Purcell songs with the Orchestra of St John’s at St John’s Smith Square, regularly collaborates with lutenist Hector Sequera – with whom she has performed for the National Lute Society and Medieval and Renaissance Society – and is a member of the ensemble Dowland Works, led by Dame Emma Kirkby. She also sings with acclaimed a cappella group Apollo5. She co-founded historical chamber group Florisma, with whom she has recorded Handel’s ‘Neun Deutsche Arien’ for Convivium Records, to critical acclaim. She studies with Julie Kennard and Christine Cairns and has appeared in masterclasses with Catherine Bott, James Bowman, Michael Chance and Emily van Evera. Additionally she runs her own private vocal and flute teaching practice.